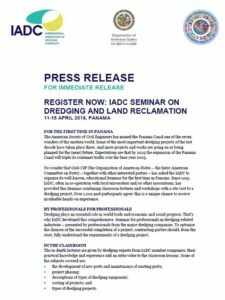 In the context of the institutional strengthening activities undertaken by the Secretariat of the Inter-American Committee on Ports (S/CIP), we are pleased to inform you about the Seminar on Dredging and Land Reclamation organized in cooperation with CIP Associate Member, the International Association of Dredging Companies (IADC). 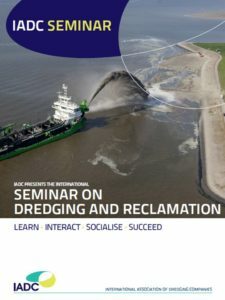 IADC has developed this comprehensive Seminar for professionals in dredging-related industries – presented by professionals from the major dredging companies. To optimize the chances of the successful completion of a project, contracting parties should, from the start, fully understand the requirements of a dredging project.